Trust is a good characteristic and it is the contrary to treason, the Islamic Religion ordered us to be honest. The honest person is the beloved one to Allah and people, Allah said: "Truly, we did offer al-Amanh (the truth or moral responsibility or honesty and all the duties which Allah has ordained) to the heavens and the earth, and the mountains, but they declined to bear it and were afraid of it (i.e. afraid of Allah `s Torment). But man bore it. Verily, he was unjust (to himself) and ignorant (of its results). (Chapter of Al –Ahzab, verse: 72) And Allah said: "Verily! Allah commands that you should render back the trusts to those to whom they are due." (Chapter of An – Nisa, verse: 58) Allah obliged us to adopt trust and He surnamed our Prophet who is our model in keeping and acquiring trust as the faithful.” Trust" means that we prohibit our senses from the forbidden things and not to transgress the rights of others by preserving trust such as money and the likes. We ought to remember that one who has no trust has no faith and both of trust and kinship will stand on the two sides of the Sirat (that is the Bridge set over hell-fire) right and left, because their great position, to take their rights. Allah has ordered us to discharge trust, has condemned betrayal and warned of it in many verses and said: “Verily, Allah commands that you should render back the trusts to those to whom they are due." (Chapter of An- Nisa, verse: 58) Ibn Katheer said: “It is general in all trusts obligated the human to fulfill, it includes two types: Allah`s rights such prayer, fasting, and the like, and people’s rights such as deposits and the like.” Although trust is a heavy burden, it is not impossible, the righteous servants of Allah characterized by it as Allah described them saying: "Those who are faithfully true to their amanat (all the duties which Allah has ordained, honesty, moral responsibility and trusts) and to their covenants." (Chapter of Al-Mu’menoon, verse: 8) Take into consideration this literal and moral harmony between faith and trust, in the Prophet`s (blessing and peace be upon him) saying: " One who has no trust has no faith and one who has no covenant has no religion". Beside, Allah the Almighty said: “O you who believe! Betray not Allah and His Messenger, nor betray knowingly your Amanat (things entrusted to you and all the duties which Allah has ordained for you." (Chapter of Al-Anfal, verse: 27). 1- The greatest trust, that is adhering to the religion, informing about this religion is also a trust, the Messengers are Allah`s trustee to His revelation, the Prophet (blessing and peace be upon him) said: "Do not you trust me? I am Allah`s trustee, the Divine Inspiration is revealed to me morning and evening." In addition, the Muslim scholars and preachers who have come after them are also guardians in preaching this religion. 2- Every blessing that Allah has granted us is a trust that we should keep and use it according to His Will, sight is a trust, hearing is a trust, hand is a trust, leg is a trust, tongue is a trust and money is also a trust, we should spend it in what satisfies Allah. 3- Honor is a trust that we should preserve and not lose, we should save ourselves from immorality in addition to everyone we are responsible for them. 4- Children are a trust, protecting them is a trust, taking care of them is a trust and raising them is a trust. 6- Keeping secrets is a trust and spreading it is a betrayal, Abu Sa’id Al –Khudari narrated: The Messenger of Allah said: "Indeed, the most evil of people in front of Allah on the Day of Resurrection is a man who is intimate with his wife and then spreads her secret." 7- Trust means the deposit, and this we should keep and return as it was. Ibn Mas’ud narrated: "Testimony of faith (to bear witness that there is no god except Allah and Mohamed is His Messenger) expiates any sin except trust, man will be brought on the Day of Judgment, if he was killed in Allah`s Cause, it is said: discharge your trust, he would say: ‘How can I as the worldly life finish?’ Then the trust will be represented for him at the bottom of hell forever and will be asked to bring it." How Allah loves the one who has trust, who renders back it to himself, his family, his work and everything, really no one deserves it except the trustee. The Prophet (blessing and peace be upon him) said: "Whoever hopes that Allah and His Messenger love him, let him say the truth when he speaks and discharges his trust entrusted to him." Trust is the standard of the serious successful work when combined with the strong, the trustworthy. "Verily, the best men for you to hire is the strong, the trustworthy." It is the trust that the Prophet (blessing and peace be upon him) did bid farewell to his companions and army saying: "I entrust your religion and your actions and your seal deeds to Allah." It is the trust that increase the position of Abu ‘Obaida ibn Al-Jarah , the prophet said: "Verily, there is a trustworthy person for every nation, Obaida Ibn Al-Jarah is the trustworthy person of this nation." The trust includes question, discussion and reward, the man has bore it, so he should entrust it, the Prophet said: "All of you are shepherds and each of you is responsible for his flock. A man is the shepherd of the people in the house and he is responsible. A woman is the shepherd of the house of her husband and she is responsible. Each of you is a shepherd and each is responsible for his flock." Allah (Glory be to Him) undertook the Prophet`s (blessing and peace be upon him) education and politeness, so he has been the best people in character, politeness and mind. He was also known by his integrity, truth, and honesty among the people of Mecca, so they gave him the title of the truthful and honest person. 2- Discharging the trusts at migration: Aisha (may Allah be pleased with her) reported that at the time of immigration, the Prophet (blessing and peace be upon him) appointed: ‘Ali as his deputy in Mecca to render trusts back to the people of Mecca. They used to leave their deposits with the Prophet (blessing and peace be upon him) because they know that he had the best morals. As they surnamed him the honest trustworthy person, they left with him what they were afraid of losing it with him. So, the Prophet (blessing and blessing and peace be upon him) migrated and Ali ibn Abi Talib stayed three days in Mecca to render trusts back. When he finished rendering trusts back to people, he joined Allah’s Messenger (blessing and peace be upon him) in his migration. This is one of the best images about the Prophet’s (blessing and peace be upon him) trust where disbelievers of Mecca used to show hostility against him, hurt him, and plotted to kill him while going to Mecca. In spite of that, he rendered trusts back and appointed his cousin Ali Ibn Abi Talib. Had the disbelievers of Quraish not known that the he was a trustworthy person, they wouldn’t have left their trusts with him. They were sure about his trust and high morals that nobody else ever had. 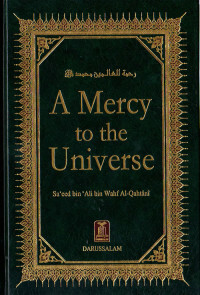 Allah the Almighty said:" And by mercy of Allah, you deal with gently. And had you been severe and harsh-hearted, they would have broken away from you; so pass over (their faults), and ask (Allah`s) forgiveness for them; and consult them in the affairs. Then when you have taken a decision, put your trust in Allah, certainly, Allah loves those who put their trust (in him). (Chapter of Al –‘Imran, verse: 159) So the Prophet (blessing and peace be upon him) knew that he would gain people’s hearts by his noble morals and so he treated them well. Thus many Companions followed this Divine guidance. 5- His informing all what Allah commanded him from informing the message, advising Muslims and spreading this great religion for all people to the extent that he was known by this title "the Informer about the Message and renderer of the trusts back”. Really, he rendered back the trust entrusted to him and guided us to the straightway, may Allah reward him the best reward got for any Prophet about his nation. 6- The Prophet (blessing and peace be upon him) was characterized by honesty and truth so he was known as the honest and trustworthy, the story of the black stone during building the Holy Ka’ba shows that, the Prophet`s (blessing and peace be upon him) Companions disputed that who deserves the honor of raising the black stone and putting it in its place, they were about to fight each at other until they agreed that they would take the judgment of the first person who would come into the Scared Mosque and it was the Prophet (blessing and peace be upon him ), when they saw him ,they said: ’We are satisfied by this honest, this is Muhammad’, the Prophet (blessing and peace be upon him) said: "Give me a cloak." Then he put the stone by his noble hand on it then he said: "Every clan holds a side of the cloak then all you raise it together.” And they did do so until they took it to its place, then the Prophet raised it. Ibn Hisham said: "Quraish named the Prophet "the honest" before the title was revealed by Allah." 7- The Prophet`s (blessing and peace be upon him) enemies witnessed the Prophet`s (blessing and peace be upon him) honesty before his friends and Companions, before Abi Sufian –the leader of Mecca – embraced Islam, he was speaking to Hercules, king of Byzantine, he could not deny the Prophet`s (blessing and peace be upon him) honesty, however he was careful to dispraise him, when Hercules asked him about what the Prophet (blessing and peace be upon him) calls for, he answered: "He calls for prayer, truth, abstinence, keeping the promise and rendering back the trusts." "A man bought a piece of land from another man, and the buyer found an earthenware jar filled with gold in the land. The buyer said to the seller: 'Take your gold, as I have bought only the land from you, but I have not bought the gold from you.' The (former) owner of the land said: ’I have sold you the land with everything in it.' So both of them took their case before a man asked: 'Do you have children?' One of them said: ‘I have a boy.' The other said: ‘I have a girl.' The man said: 'Marry the girl to the boy and spend the money on both of them and give the rest of it in charity.' "
As for our previous predecessors, the trust has taken root in their hearts. With it they were paying homage and were dealing so. There are many examples to demonstrate their trust - we do not have time to mention all of them. Unfortunately, we rarely find a trust person, to the extent that it is said that there is a trust person in any place, this is a sign of the Day of Judgment. Abu Hurira (may Allah be pleased with him) narrated: "The Prophet (blessing and peace be upon him) said if the trust was lost, you would wait the Hour. How? If the matter entrusted to non qualified persons, you would wait the Hour”. How a beautiful thing that the man is honest in his dealing with his Lord, family and with all people, and the Prophet (blessing and peace be upon him) is his model following his manners, O Allah gather us with the group of the trust people , help us to render back the trust , O Allah prepare for this nation trust people who bear the burden of victory, make them the winners, O Allah we ask You to grant us noble manners and make us with the Prophet (blessing and peace be upon him ) on the Day of Judgment, O Allah You are The Powerful … Amen, we ask for Allah`s Forgiveness, and we repent to Him, You are The Ever-Accepting Repentance and the Most Merciful, peace be upon the Messengers and all praises and thanks be to Allah, the Lord of Al-‘Alamin. The Holy Qur’an- Prophetic traditions – sound collections of Al-Bukhari and Muslim- some Muslim websites such as www.saaid.net and others. View al-Amanah by sheikh scholar Abdullah al-Jibrin (may Allah have mercy upon him)- Al-‘Amani fi fdaw’ al-Kitab wa as-Sunnah, an MA dissertation by Ghusnah az-Zufair – al-‘Amanah byAl-As-Saghriji – Al-‘Amanah kama yosaweroh al-Qur’an al-Karim, an MA dissertation by Jamal Al-Shahawi, Al-‘Amanah fi al-Islam wa athariha fi al-Mujtama’ , a PhD byAbdul Latif al-Huassain – al-Amanah wa al-‘Umana’ by Ahmad al-Mahamid. Reported by Ahmad and its chain of narrators is fair. Reported by Abu Dawud and Al-Hakim who graded it as fair. Reported by Al-Bukhari in his sound collection, chapter of what was written about a person’s will, no. 11756. Reported by Al-Bukhari, chapter of taking away the trust, no. 6131. Al-Amanah wa anwa’iha , Ali Abdul Aziz al-Rajhi, al-Amana, Dr. Faysal Al-Halabi (paraphrased). Al-Bukhari, the book of fallen lost thing , chapter if the person finds a palm-tree date on the way (2300), Muslim, book of zakah, chapter of the prohibition to give zakah to Allah’s Messenger (peace be upon him) (1070). 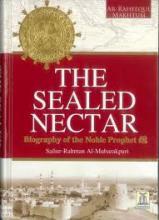 Al-Bayhaqi, as-Sunnan al-Kubra 6/289 (12477), Ibn Kathir, al-Bedayah wa an-Nehayah 3/218 , At-Tabari,, tarikh al-Umam wa al-Muluk, 1/569. At-Tabari, jami’ al-Bayan fi ta’wil al-Qur’an, 8/491-492, Ibn Kathir, tafsir al-Qur’an al-‘Azim, 2/340. Reported by At-Termidhi and Al-Albani graded it as sound. You can refer to some books, view al-Istizada.the next page. Has already been authenticated and referred to.